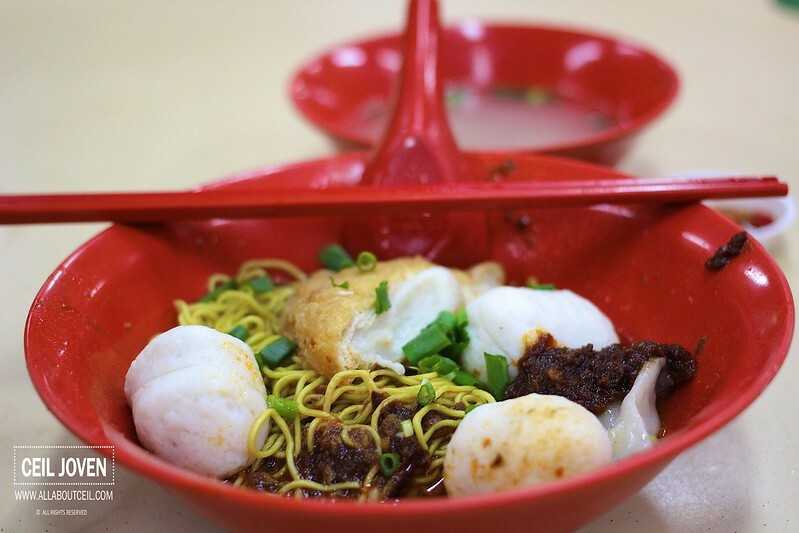 I have heard of this particular fishball noodle and have been wanting to try it for a while. 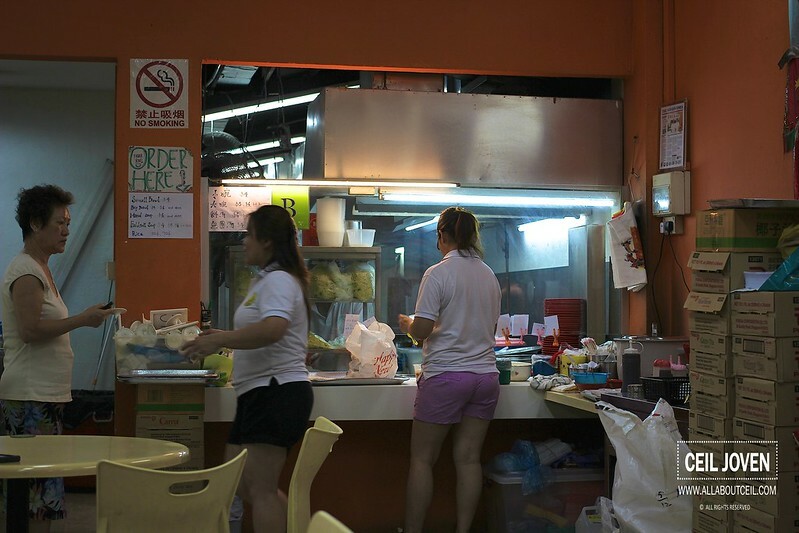 Their operating hours make it to be quite a challenge though as they operate from 6.30 pm to 3.00 am or sold out. Their off-day is on every Wednesday. 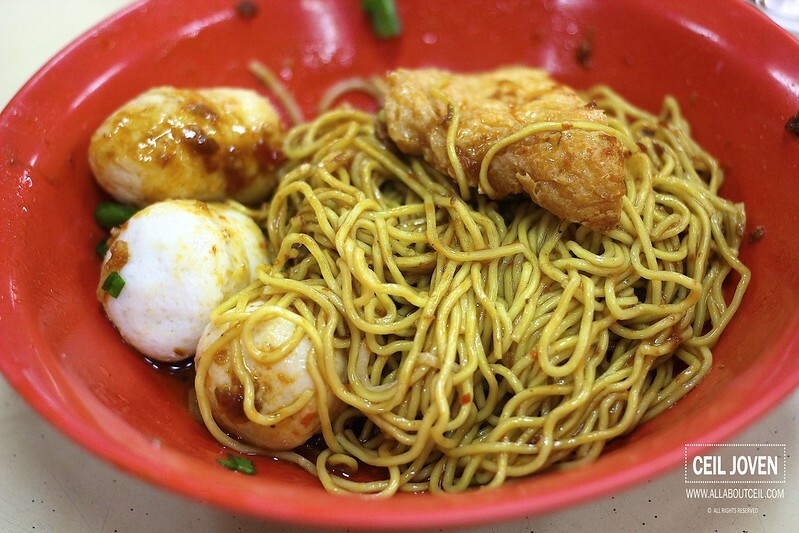 They are located along Upper Serangoon Road and within the walking distance from the Serangoon MRT station, not too far from NEX. I was just happened to be at NEX to catch a movie and decided to walk about 5 minutes to here for supper after the movie. 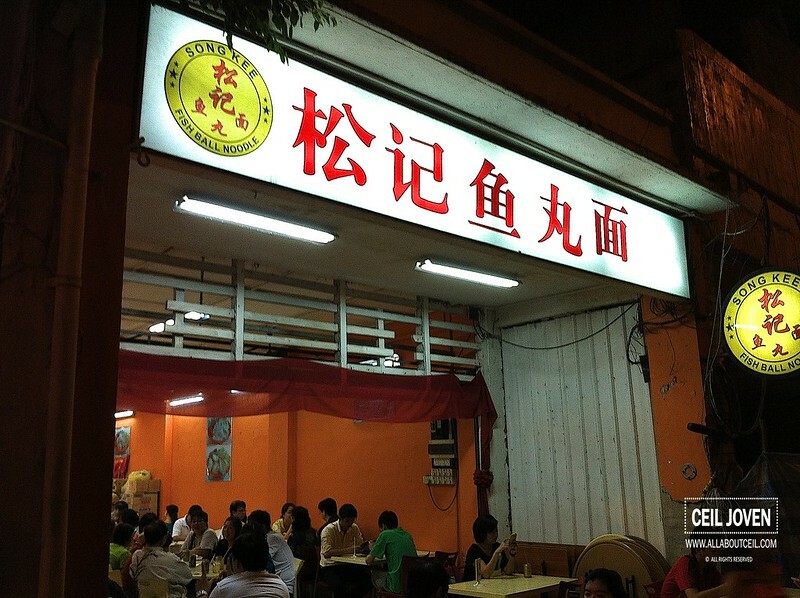 It was about 9.30 pm then, though no queue but almost 80% of their tables were occupied. I went to the counter right in front and ordered from a friendly Auntie. Their system is to order first and pay upon served. 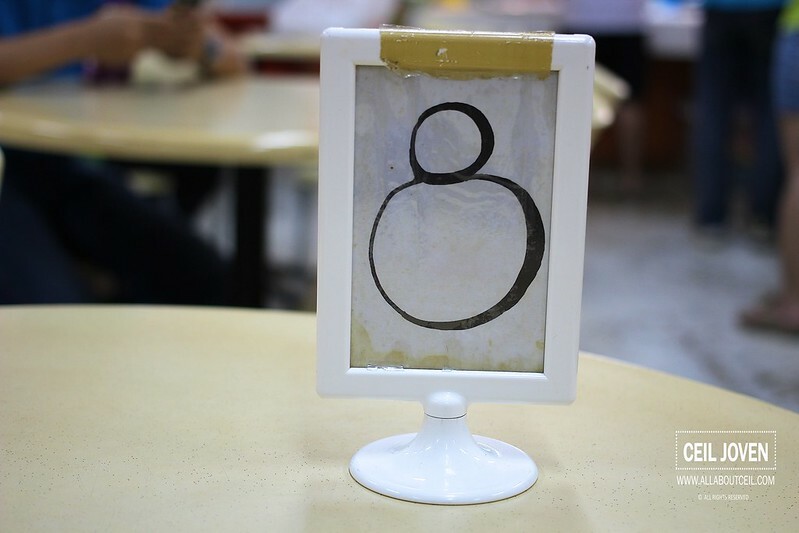 A number tag was given to be placed on the table. The waiting time was longer than expected. We waited for slightly longer than 15 minutes before gotten our bowls of noodle. 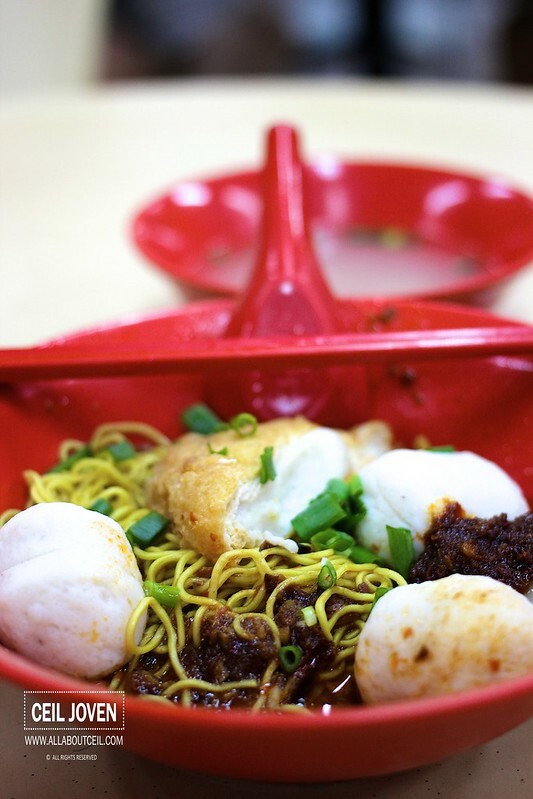 The portion of noodle was just right served along with 3 pieces of fishball, a piece of tau pok together with a fish dumpling. The noodle was cooked well to give it the desired springiness and softness. 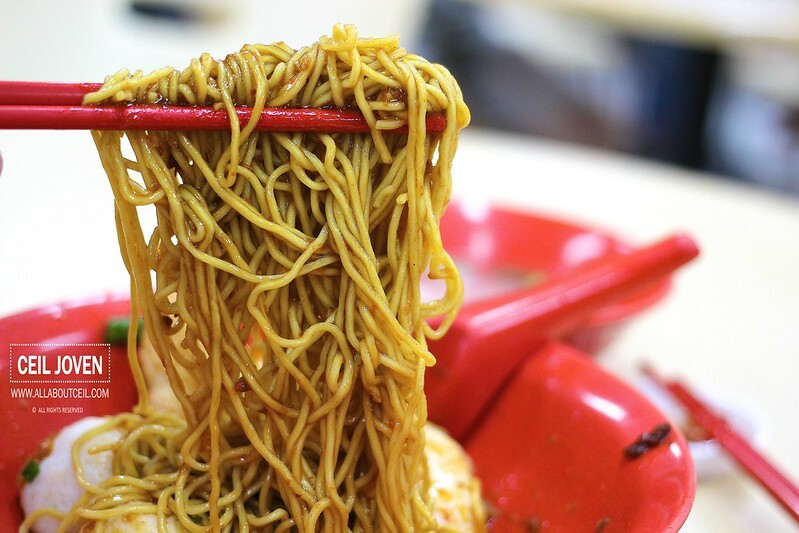 When tossed it, a bowl of tasty noodle awaits. Though i have requested for an extra amount of chilli to be added but the level of spiciness was just right though it was a little oily at the base. This is definitely a good choice for supper but too bad, i do not stay in the vicinity. 532 Upper Serangoon Road SINGAPORE 534547.